The New Sole Fitness Tech Has Arrived! Treadmill Ratings Reviews / Blog / Blog / The New Sole Fitness Tech Has Arrived! 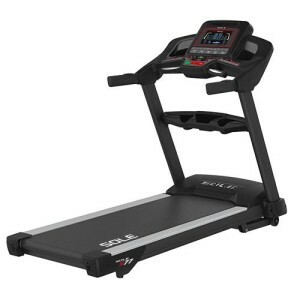 2016 Sole Fitness Treadmills Now Come With Workout Stat Tracking and Bluetooth Technology! NordicTrack has iFit. Yowza has MyLiveLight, and Horizon has ViaFit. It was about time that Sole joined in the techno game. So… we’re happy to report that they’ve done just that! Sole Fitness just finished rolling out their new 2016 line up complete with new Bluetooth Technology and a compatible smart app. This technology allows you to track your treadmill workout stats and send them wirelessly to your smart tablet, phone, or laptop. It’s pretty easy to use too! Get the FREE Sole Fitness app on your smart device. Sync the app with your Sole Treadmill. During your workout, you can enjoy movies, music, or browse the internet while working out. The Sole Fitness app will record your stats in the background. The new treadmills also work with other popular fitness tracking apps like Fitbit, iHealth, RECORD, MyFitnessPal, and MapMyFitness. This lets you use the apps that you are most comfortable with. The quality of the Sole Treadmills has always impressed us. Team member Fred Waters stated, “I’ve watched this company go from a relative unknown to a major player. That’s what happens when you offer exceptional quality at a great price.” Their machines are extremely durable and can withstand abuse. The integrated Bluetooth technology helps Sole Treadmills compete with other fitness tracking machines already on the market. Here are some comparisons. Icon products, including NordicTrack and ProForm, have iFit technology that requires an ongoing paid subscription. Vision and Horizon machines have a great platform, ViaFit, which compares well to the Sole technology. It also integrates with other workout tracking apps. Finally, Yowza’s MyLiveLight has a free app that incorporates a smart scale and weight tracking. This system is not quite as user-friendly. Read more the different workout tracking platforms here. 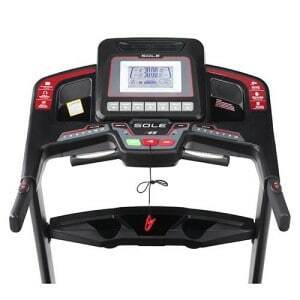 In addition to the new Bluetooth technology, you may notice that the newest Sole Fitness treadmills also have an updated console and white backlit LCD display. The new screens are easier on the eyes than the old blue screens. If you want to see a great example of one of Sole’s new machines, check out one of our Best Buy choices, the Sole F80.